promoting her first release with MillerWords. Carlos took off on his roaring Harley-Davidson, never imagining the fate awaiting him. He stopped at an intersection, when the speeding pickup truck smashed into him, bulldozing Carlos and his motorcycle across the road. In an instant, he went from bleeding on the asphalt, to a radiant meadow and the joyful welcome of loved ones who had gone before. This glimpse of heaven is described in "Love's Sweetest Revenge," the first of my "Castle in the Sun" romance series. While based on actual accounts, Carlos' encounter with the beyond, is fictional. But what happened to me is more real than the stars in the sky. I describe this glimpse of heaven in my devotional, "Where Your Heart Meets God's." I would need the comfort it imparted, because heartbreak and rejection would soon crush me to the core. The unfolding situation bowed my shoulders as I trudged to bed that night and fell into a troubled sleep. Suddenly, I found myself prostrate before a king on a throne and in the presence of love infinitely greater than any I had ever known. This love surrounded me like an embrace, yet it was not only external. Like the penetrating warmth from a fireplace, it reached into my every molecule. The love was more than emotion. It was alive and it had its source in the being on the throne. Even though I could not see him, I never thought to ask why. Whatever happened, I knew this king had my best interests at heart and was committed to my care, like a father for his dear child. Kindness was at His core. I immediately knew this King of Love was God. As He spoke, tenderness filled His voice—a voice that in eons past, had thundered the universe into existence. He issued two promises, one about my children, the other about the writing career of which I had always dreamed. He issued a third, more personal promise as a wind lifted me into a tunnel that would transport me home. That's when I caught a parting glimpse of my surroundings, which seemed to be carved into a mountain. Massive stone walls illuminated in candlelight, were reminiscent of a grotto, or the holy hush of votive candles at a church altar. Although my problems were still there when I awoke the next morning, I knew the love that had carried me to heaven and back, would never let go. 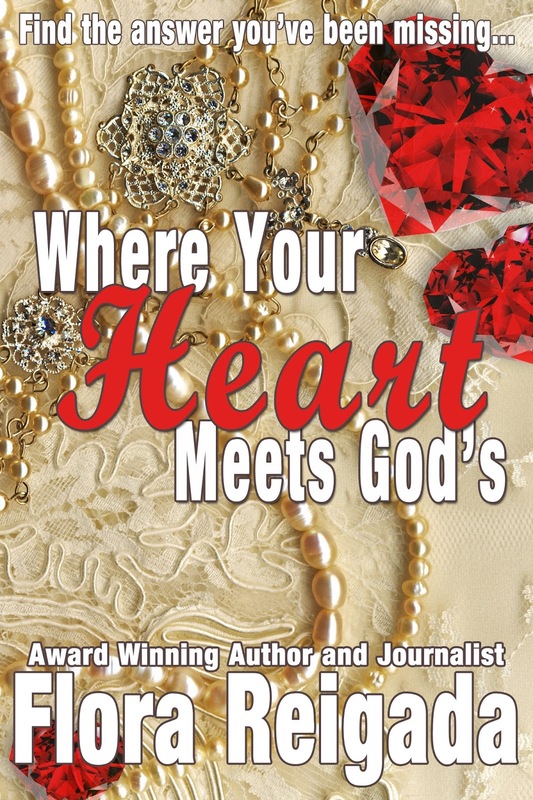 Read more about encounters with God in their many forms and how we can recognize them in our lives, in "Where Your Heart Meets God's." E-book available from MillerWords, just $1.99 in all formats! About the Book: God has life changing messages for you, but how would you know, and what would He say? You might be surprised to find His words shining like jewels in everyday life, but also where we need to search and dig. Recognizing these messages of life and love can be compared to discovering hidden treasures just for you, then exploring these jewels one at a time, each with numerous facets. Such is the divine treasure with your name, if you will but receive. Where Your Heart Meets God’s can help illuminate these inner riches right where you are, whatever your circumstances or struggles. Open the pages and your heart for an everlasting adventure in hearing and experiencing God. Discover the many ways He is calling your name. About the Author: Flora Reigada is an award-winning journalist and novelist. She and her husband, Dan, have been a reporter/photographer team for several newspapers, including the Florida Today. At present, they cover Brevard County/Space Coast news for Senior Life newspaper. Interesting places they have explored in pursuit of a story include a “castle,” the Castillo de San Marcos in St. Augustine, Florida. In Titusville Florida’s historic Vassar B. Carlton Courthouse, they climbed a hidden stairway to a long-abandoned jail. While covering events at a local ranch, Flora narrowly avoided being trampled by a “spooked” horse. She has also been a staff writer for Warner Press, contributing to their Pathways to God devotional and Christian Art Bulletin. In addition, she has written for Guideposts Magazine, Decision Magazine, the Upper Room Daily Devotional and more. She and Dan are proud parents and grandparents. “Our lives have been filled with adventure,” Flora says. 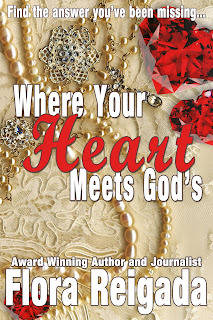 Where Your Heart Meets God's is coming soon from MillerWords on all major eBook readers! 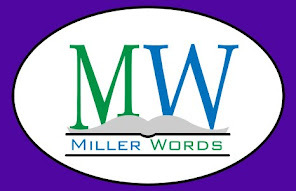 Follow MillerWords on Facebook for the official release date. JAX delivers the second story of the Inward Dwelling series with this cover reveal. 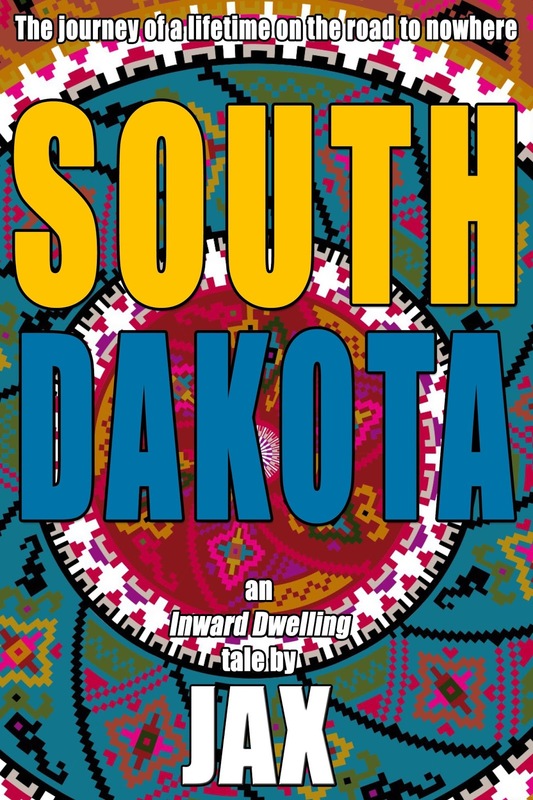 South Dakota takes place with some of the same characters from Many Gray Horses, but it is a few years earlier than the first installment. 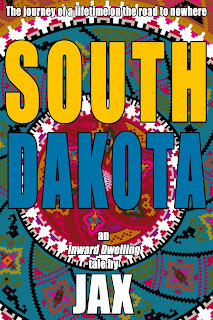 About the Book: 1973, South Dakota. The historic site of a massacre some 80 years before. History repeats itself, they say. And before he was someone's father, he was a young man, a college student, and trying to find his own identity. Along with a few friends, this young man begins a journey into the unknown. The town of Wounded Knee is at the end of the road, but that is not his final destination. About the Author: JAX lives and writes in the U.S. He divides his time between Montana and the American Southwest. He has also traveled to many parts of the world including the UK, Europe, the Middle East and Asia and he hasn't done it as part of a tourist package. His keen interest in Native American culture has taken him across America as well. Story telling is at the heart of what he does and he uses it to explore the clash as well as the connection between the various peoples of the North American continent. Many Gray Horses is his first work of fiction. BN Nook - Coming Soon! Thanks for reading and please click below to follow us on Facebook!